Arrival at Chandigarh Airport, Proceed to Manali, drive of 7 – 8 Hrs. Enroute visit to mata hanogi temple and kullu shawl factory. Arrival at Manali by evening. O/N Manali. After breakfast leave for Naggar for naggar castle, nicholas roerich art gallery & later by visiting vashisht Temple for Hot water sulphur bath. Evening at leisure and rest. O/N Manali. After breakfast leave for solang valley, from here can go on gondola cable ride on top or trek up to anjini mahadev shivling, later spend time on adventure activities at solang ground. Evening free at leisure in Manali. O/N Manali. After Breakfast drive to rohtang pass 13050ft, till Snow point. Enroute to marhi, rani nallah & kothi gorge. O/N Manali. 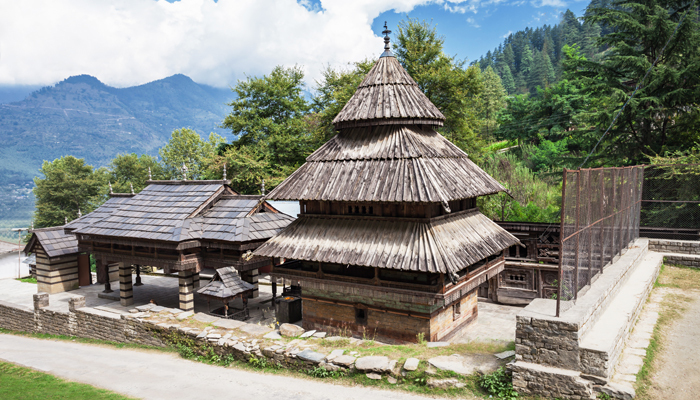 Complete day at leisure to spend by local sightseeing by visiting hadimba temple, manu maharishi temple in old manali & buddhist monastery. Evening free time at leisure & rest. O/N Manali. Morning depart for Chandigarh, drive of 6 – 7 Hrs. Drop at railway station / airport. Journey ends here.